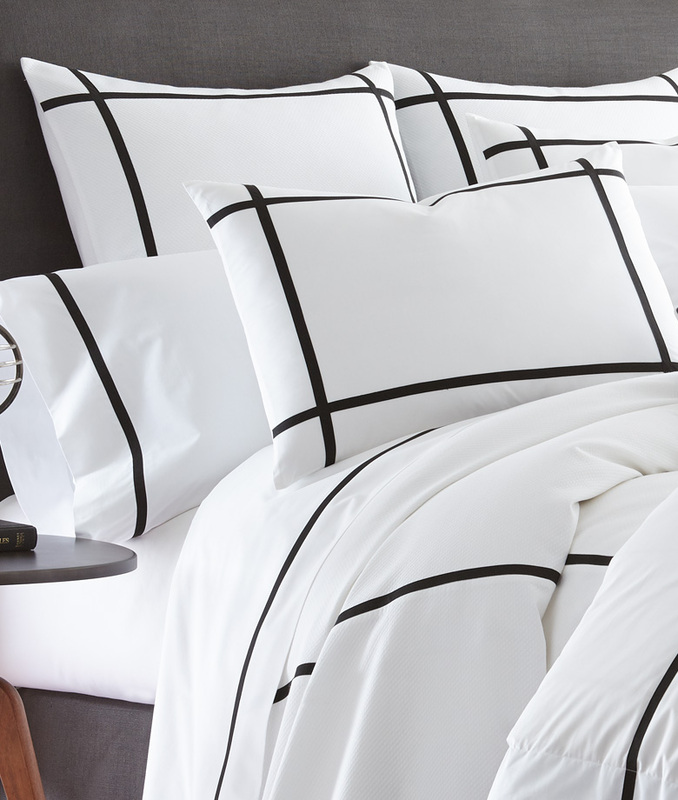 200 thread count Long Staple Cotton Percale in White and Ivory with your choice of over 50 tape trim colors. Beck windowpane design available on Duvet Cover and Shams. Sheets in this collection are single row.